Lavender Essential Oil has many useful properties — antiseptic, topical anesthetic, sedative, insect repellant and natural solvent. These properties, while potent and highly versatile, are not very well known. Lavender is probably best known for its sweet fragrance. 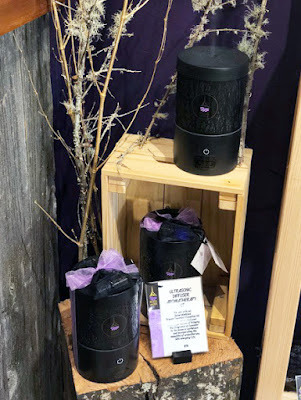 Bringing the fragrance of lavender to the home, workplace or indoor environment is easy and effective with our Ultrasonic Aromatherapy Diffuser Kit. If you are unfamiliar with ultrasonic diffusers, they are a small, electrical units which use sonic technology to break apart water and essential oil into micro-particles that are dispersed throughout your environment as a fine mist. Ultrasonic diffusers run solely on water and pure Organic Lavender Essential Oil and produce no heat, keeping the mist cool and safe to touch. 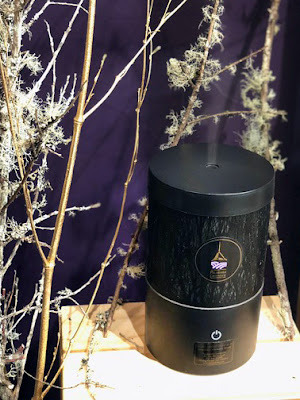 As you control the amount of essential oil added to the water (we recommend starting with 4-5 drops and adjusting to preference) and the duration the diffuser runs, it's one of the most efficient and controllable means of "fragrancing" a space. In addition to its beloved scent, diffusing lavender essential oil into the air has some very practical benefits. Taking advantage of lavender's aromatherapy properties, one can experience decreases in both anxiety and agitation - a particular benefit to those, adults and children alike, in stressful situations. Running a diffuser before bedtime (and nap time!) will help promote sleep with its whisper quiet efficiency. When plagued with a headache, an ultrasonic diffuser is an excellent tool to help relieve discomfort. We recommended cleaning your ultrasonic diffuser periodically every few weeks to ensure proper function and long life. Simply using our Organic Lavender Hydrosol, fill your diffuser to the max line and let it run for 30 minutes. The subtle scent of the lavender hydrosol will fill your space as it naturally cleans the diffuser. Wipe the interior and exterior dry after cleaning. Additionally, the diffuser has an option to glow with slowly changing LED lights when turned on. 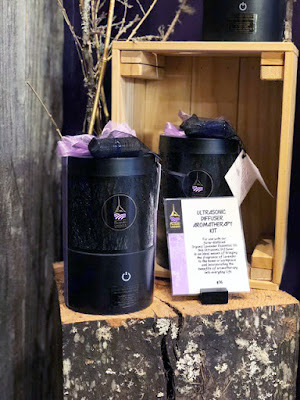 The efficiency and ease of use and care of our Ultrasonic Aromatherapy Diffuser Kit makes it a household favorite for many lavender lovers.